Picturing Disney: Pangani: Africa or Animal Kingdom? Have you ever wondered where Disney gets the names for the places? Obviously at Epcot’s World Showcase this is easy but what about the name inspirations over in Animal Kingdom? If you know about the Expedition Everest lore, it is said to take place in a fictional Nepalese village. But what about the other areas? I recently decided to google “Pangani” to see if there was a link to the Gorilla habitat found on the trails in the park. After some research I discovered that Pangani is a town in Tanzania (see image from Wikipedia below). There are no links to anything animal related here although I did find out that this was a town that grew mostly on slave labor and used to have large plantations of sugar and coconut. The town of Pangani is named for the river which stretches through Tanzania out into the Indian Ocean. I looked into the geography here and it does seem that it runs through some of the lowlands which are what they refer to the Gorilla sanctuary area in Animal Kingdom. 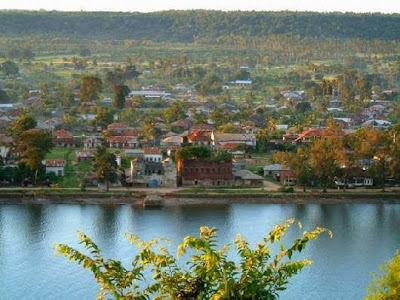 The only other connection to the town/river seems to be the term Pangani itself which can be loosely translated to “place of enchantment”. It seems imagineers wanted to bring a name from Africa that could represent this enchanting place filled with African animals. 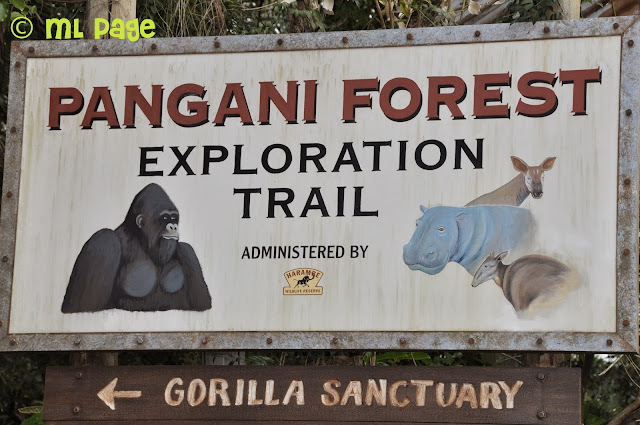 Pangani Forest Exploration Trail, while having no link to the Tanzanian village except for name is a must visit on your next trip to Animal Kingdom. Here you can see many native African animals such as the Gorillas, Hippos, and Meerkats! I have gotten some of my best animal photos and viewing here! And its a nice walkway from the safari ride to the train station!